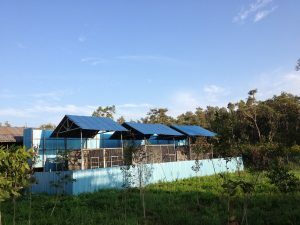 Located in Nyaru Menteng Arboretum, about 30 km from downtown Palangka Raya, our main activities at Nyaru Menteng include orangutan rescue and translocation, the provision of welfare and healthcare, rehabilitation, and reintroduction. Conservation of habitat and wildlife can only be achieved by working together with local communities and other stakeholders, hence in all areas of our work we engage with local communities and schools on community development activities and outreach conservation education. 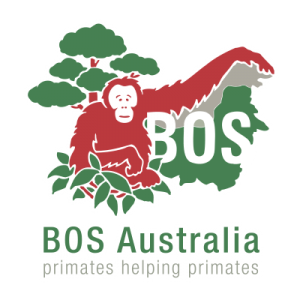 BOS Foundation has rescued over 1,200 orangutans in Central Kalimantan and currently cares for and supports almost 450 orangutans at Nyaru Menteng. 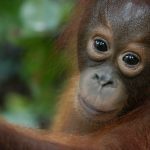 Orangutans that have been displaced from areas of natural habitat due to human development activities causing widespread habitat loss, are often forced to range long distances in search of food. 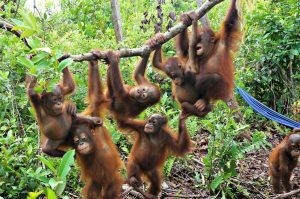 Often they wander into palm oil plantations or community gardens as they simply have no other alternative. 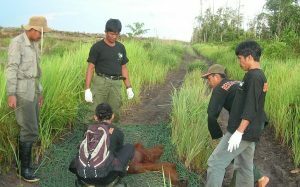 Together with the Central Kalimantan Conservation and Natural Resources Authority (BKSDA), we rescue orangutans from these situations and if healthy, can immediately release them to areas of safe, secure natural habitat. This practice is commonly known as translocation. In situations where an orangutan has suffered injury or illness, we provide dedicated healthcare to ensure their recovery for future translocation or later reintroduction. Each orangutan arriving at one of our reintroduction programs goes through routine quarantine procedures and health checks (physical and psychological). This is very important as many rescued orangutans have been exposed to human diseases which they would not normally encounter in the wild. The majority of the orangutans who enter our facilities are still very young, so in need of orangutan-peer interaction and daily lessons on forest survival. 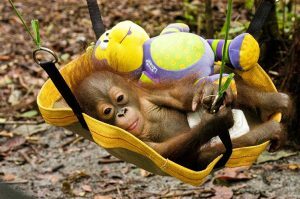 During rehabilitation, orangutans are taught and encouraged to build nests, select appropriate natural foods and recognise natural predators. This process starts in Baby School and progresses through different levels of Forest School, where each day is spent in the forest learning new skills. Skills acquired by each individual are assessed before moving them up through the levels. 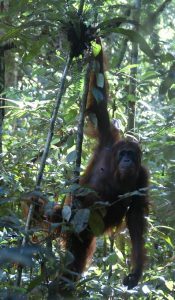 Orangutans then progress to a Healthy Quarantine or to Forest School Level 3, which is a halfway forest for the final stage of rehabilitation. 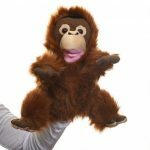 Dependent on the age and existing skills each orangutan has, rehabilitation can take up to 7 years. 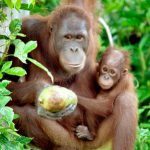 Our overriding goal is to reintroduce orangutans back to secure natural habitat to establish new viable long-term populations to bolster conservation of the species in the wild. The forest areas we have secured for our reintroduction program in Central Kalimantan are established with camps, equipment and trained personnel to ensure that our Orangutan Field Monitoring Programs are able to continuously monitor each orangutan’s adaptation to their natural habitat. This involves a great deal of ongoing logistical support and planning and is very costly. You can support our Release Programs through your donations.